This tutorial has been sitting in a folder for way too long and it's probably not appropriate for Spring time but as I promised myself I will be uploading every single work I do, so here is another cute work of mine I did over Christmas. 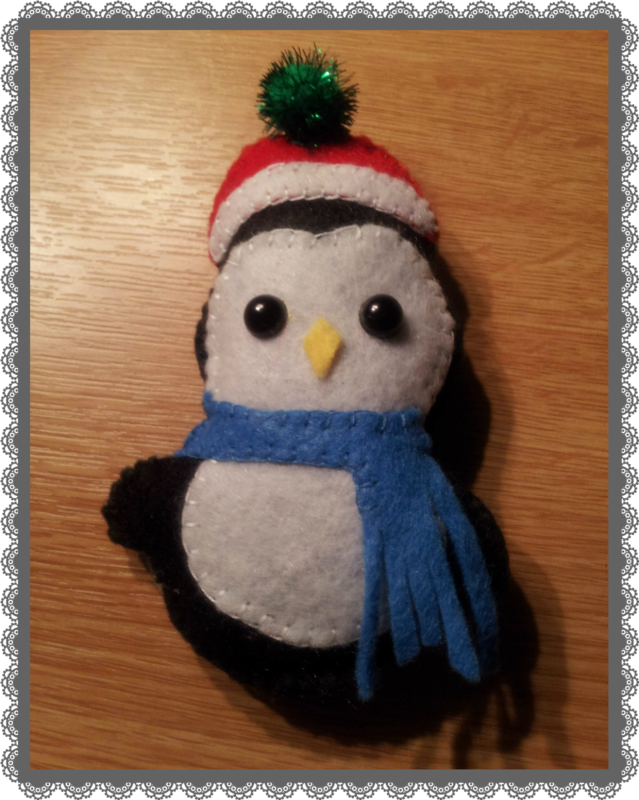 First of all you will need to decide the colours of your felt fabric and threads you will use to sew this pinguin. Sorry I forgot to take a photo of my materials this time, but as usual you will need a filler of your preference, a needle, scissors, paper, fabric glue and accessories if wanted. 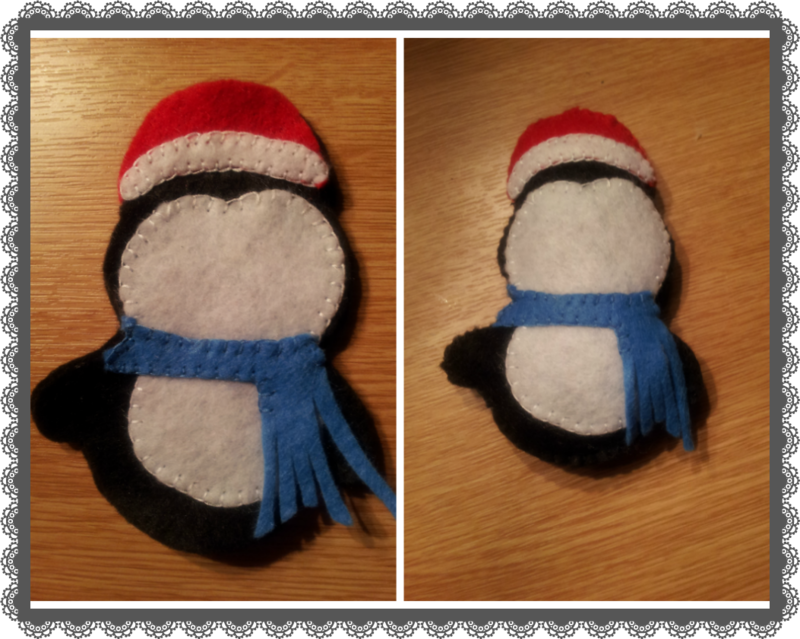 I went for the original black and white body fabric and added some colour to accessories such as a hat and a scarf. 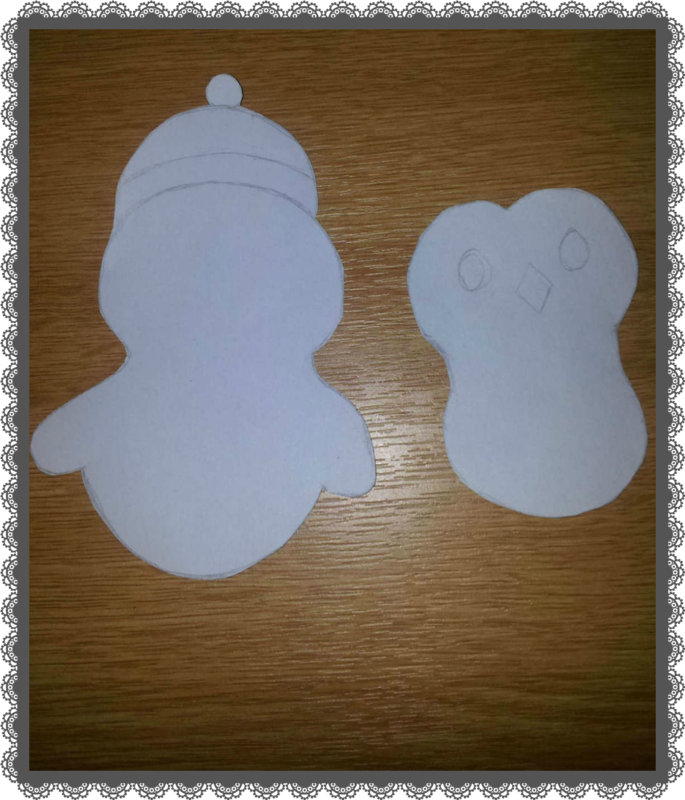 Next step is to cut out the shape of a pinguin including the white part of the body as seen on the photo below. 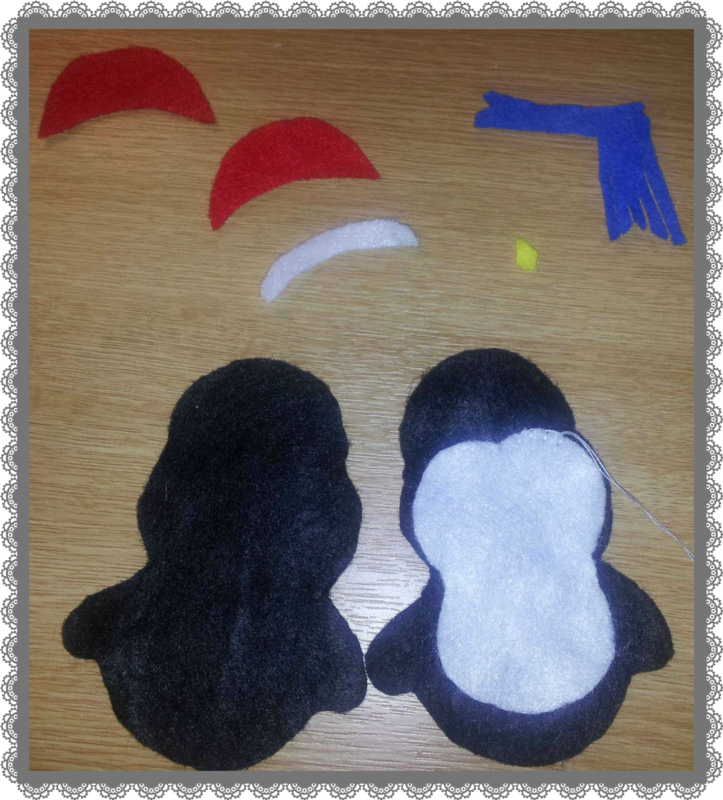 Here are the parts of the pinguin excluding the eyes. As you can see I had started sewing the white to the black using my favourite blanket stitch. I'm really not a fan of using a sewing machine for my creations. After you finish stitching the white of the body, you can now start working on the scarf, I did a little twist with it by cutting the bottom into several different lenght tassels. On the left is a final step you have to do before sewing both body sides together. This step is optional, but I wanted it to be "Christmassy" so I sewed on a red hat and a white band on top of it. If you don't want that, then you had to end the top of the head just below the white hat band. The right side of the above collage is where I had stitched both sides together and stuffed it with cotton before finishing stitching all around. 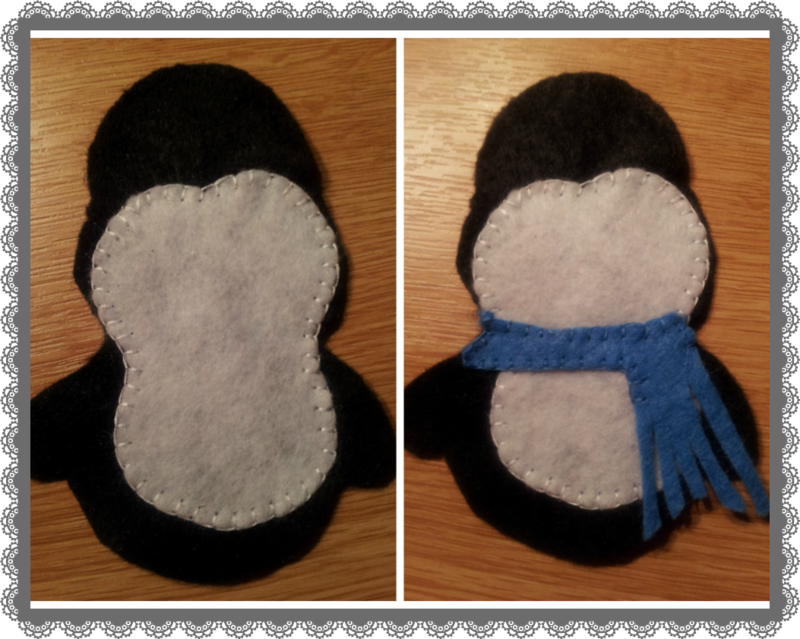 Here, your pinguin is almost complete. Hope you liked this tutorial, sorry for it being so late but I didn't want it to leave it until next Christmas.